The Polar Vantage M Multisport Watch sets a new standard for serious athletes with features such as state-of-the-art bio-optical heart rate technology and Polar’s scientifically-validated smart coaching features. 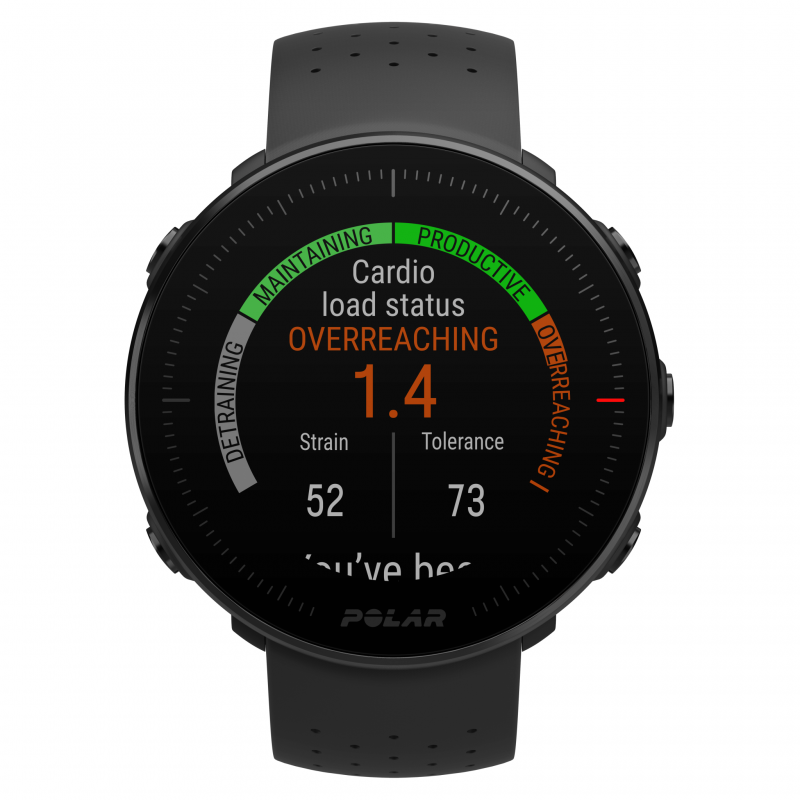 Polar’s new heart rate technology, called Precision Prime, is the only wrist-based heart rate solution that utilizes both optical sensors and bio-impedance technology. This allows it to overcome erratic heart rate readings caused by movement and makes sure your heart rate gets tracked accurately, even in the most demanding conditions. 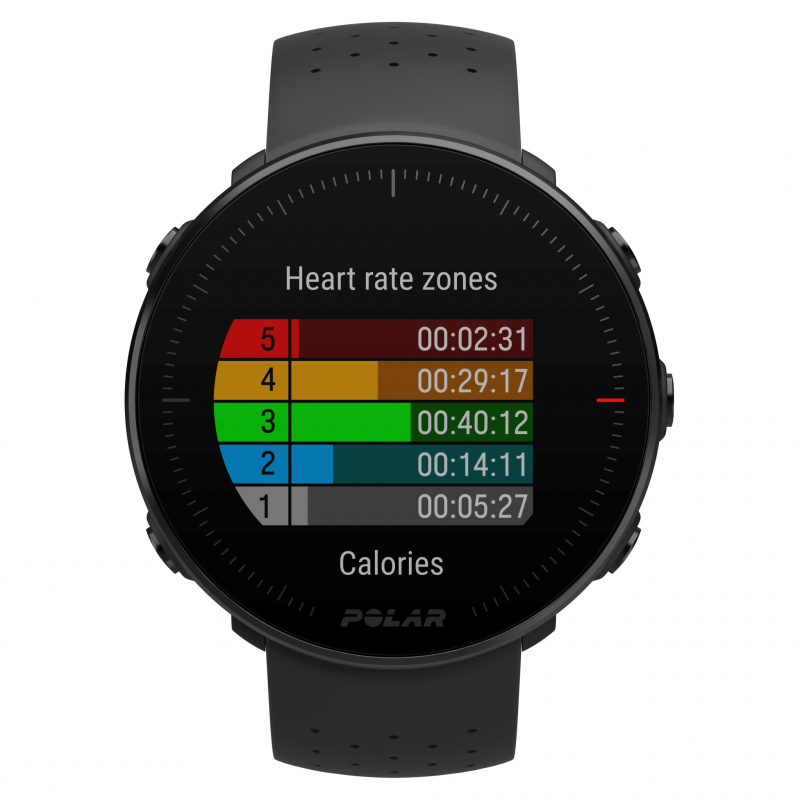 The Polar Vantage M also comes with Polar’s scientifically validated smart coaching features. You get access to Polar’s Running Index, Training Benefit and Training Load Pro. Training Load Pro gives you a more complete picture of your training effort by separating cardio load, muscle load and perceived load. The Vantage M gets up to 30 hours of battery life, weighs only 45 grams and utilizes an always on color display with 240 x 240 resolution. The Polar Vantage M Multisport Watch gives you the tools you need to improve your fitness and achieve your goals! 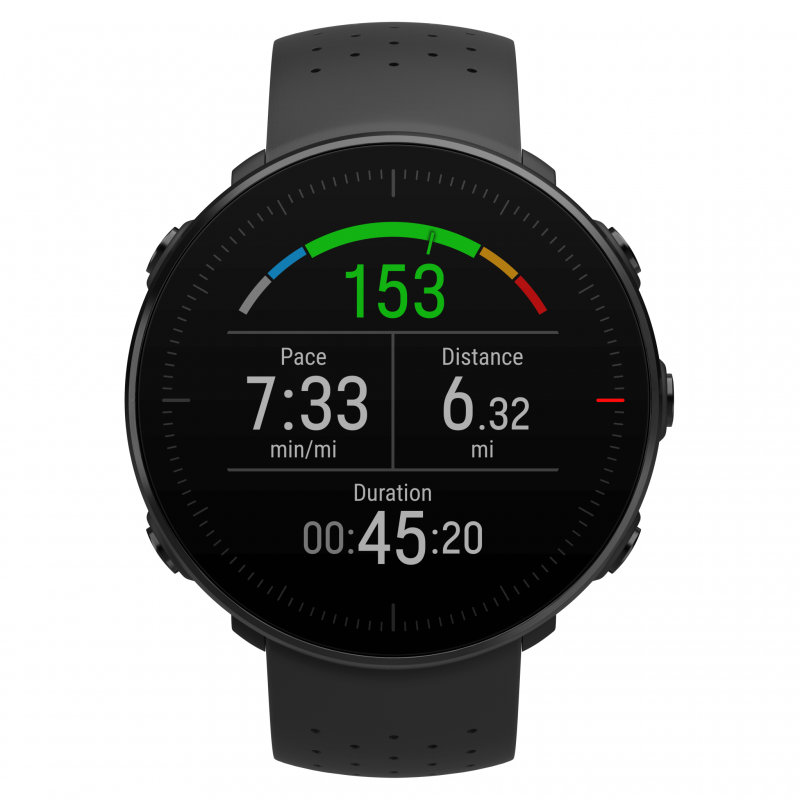 Ultra-Long Battery Life – With up to 30 hours of training time with GPS active, the Polar Vantage M can stand up to your toughest training and grueling races. Customizable Wrist Band Options – Tailor your Vantage M to your personal style with replaceable wrist bands.